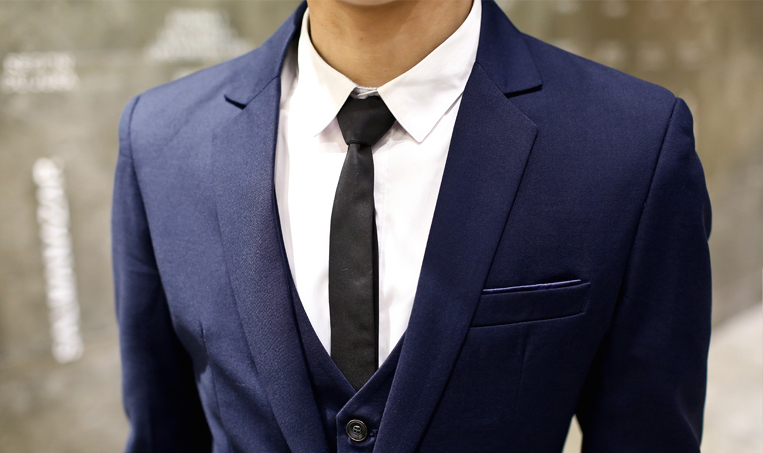 A menswear guide to finding everything from formal workwear to casual pieces on Taobao. Who says only women can have all the shopping fun? Before you start mindlessly adding items to your cart (“So cheap! So nice!” – we’ve all been there. 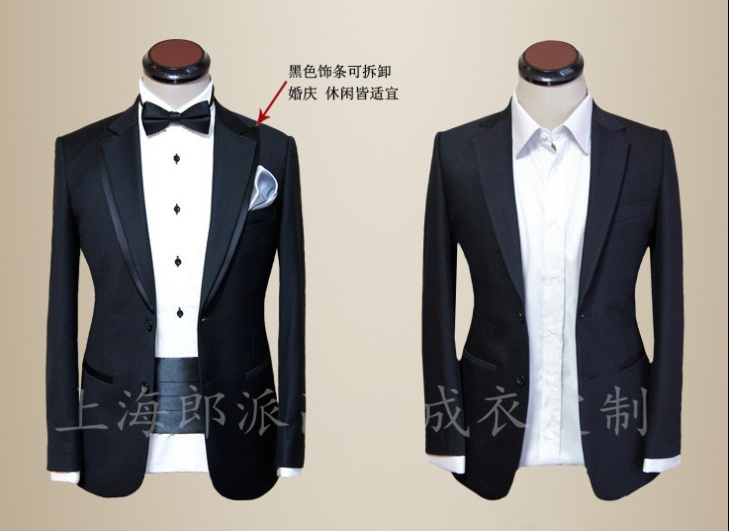 ), there are some things you should take note of when buying clothes on Taobao. It may seem straightforward – you look for the size chart, compare it to your measurements and select the most suitable size right? Well, Young Padawan, you will soon learn that nothing is straightforward on Taobao. But a little bit of effort is a small price to pay for affordable and quality clothes right? When it comes to sizing, always err on the side of caution – meaning it’s better to go for the bigger rather than smaller size. Seriously guys, just put aside your pride and do it. You can always alter clothes that are too big, but a pair of pants that are too tight will only go to waste (and make you feel fat). Most styles from China and Korea tend to be smaller cut, especially compared to European or American brands. Even if you are usually a Medium at ZARA, this may not necessarily translate to Taobao sizing. Check the actual measurements on the size chart, or chat with the seller to get more details. Some sellers also indicate sizes by height and weight, but it’s not always the most accurate of measurements, so be sure to read the reviews or sizing information before buying. Lastly, you might want to keep in mind where your problem areas are. For instance, if you have especially large biceps (hello Kim Jong-kook), you might have to check that the armhole measurements can accommodate you. It may be hard to tell how thick or thin the material is just from pictures (which are often edited, mind you), so look out for terms which indicate what season the clothes are made for, or what type of fabric is used. Many international brands like Uniqlo or G2000 have stores on Taobao (yes, with legit authentic items – no cut labels, we promise). However, the prices are slightly higher and the selection not as wide, so you are probably better off buying from the actual stores instead. That’s not to say that there are only cheap, run-of-the-mill clothes on Taobao though – you can find affordable Chinese brands with good quality items and up-to-date designs if you look hard enough. 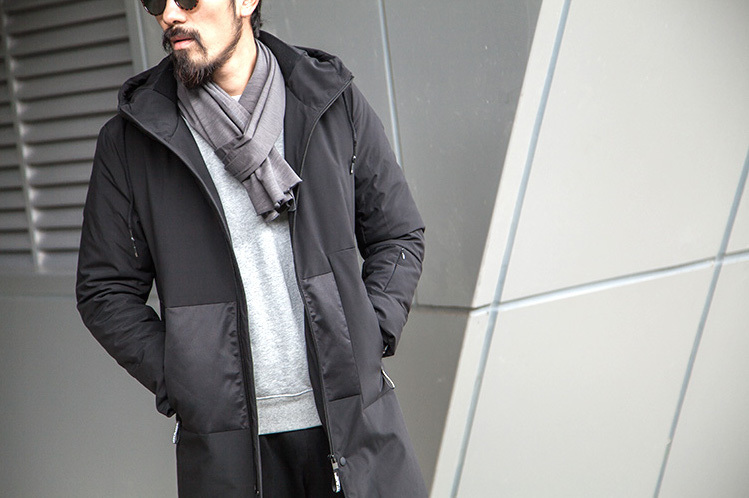 Taobao regularly features trending or popular menswear brands here. 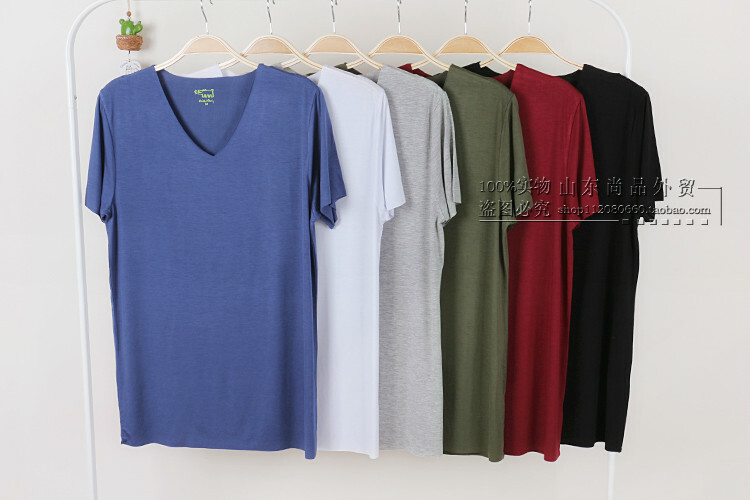 A standard work shirt which comes in a variety of colours. With “exquisite details”, no less. 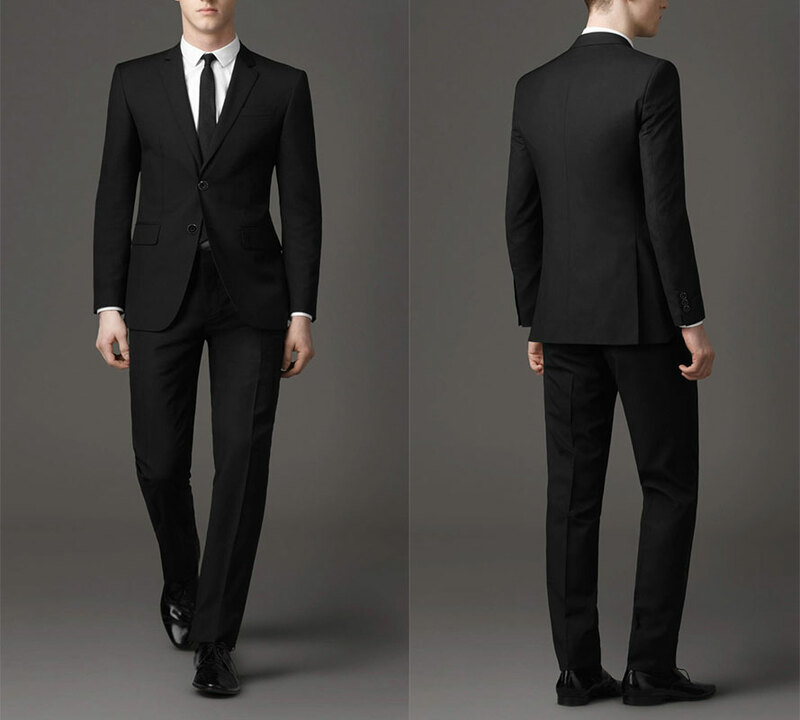 A classic (and affordable) suit which can be used for work or play. 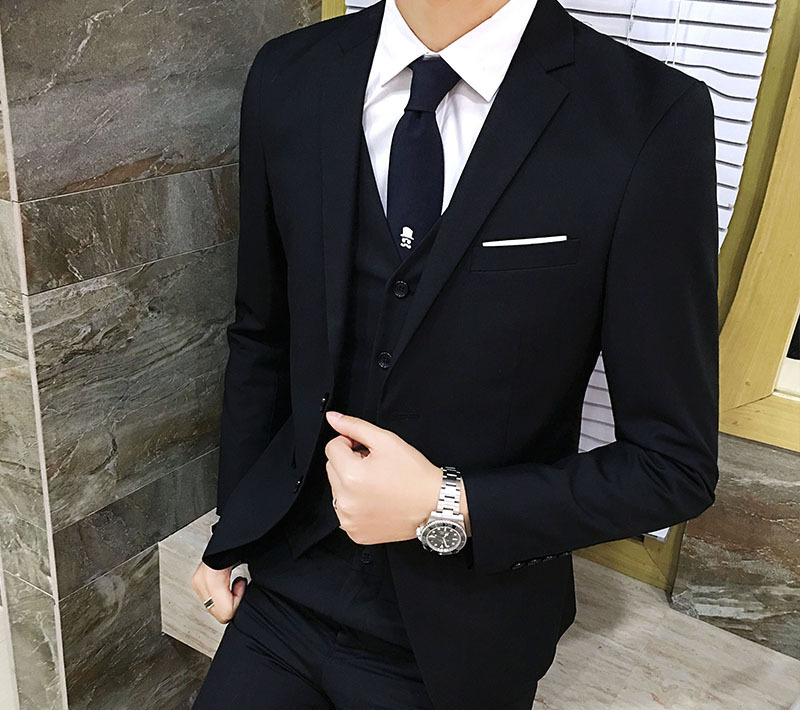 Do note that when selecting your suit size, most sellers require you to choose your blazer size first, then indicate your pants size in the comments. The listing will usually say ‘裤子尺码请留言’. In case you want to get fancy. Comes in black, navy and wine red. Go on, channel your inner Lee Min Ho. 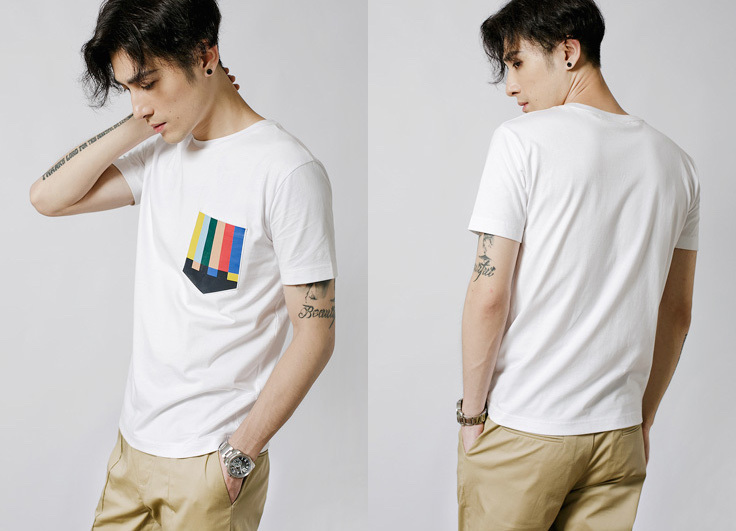 A simple tee with a cute pocket. Pair it with your favourite pair of shorts and voilà, weekend outfit settled. Can’t go wrong with a classic polo. Comes in black, navy, forest green and grey. 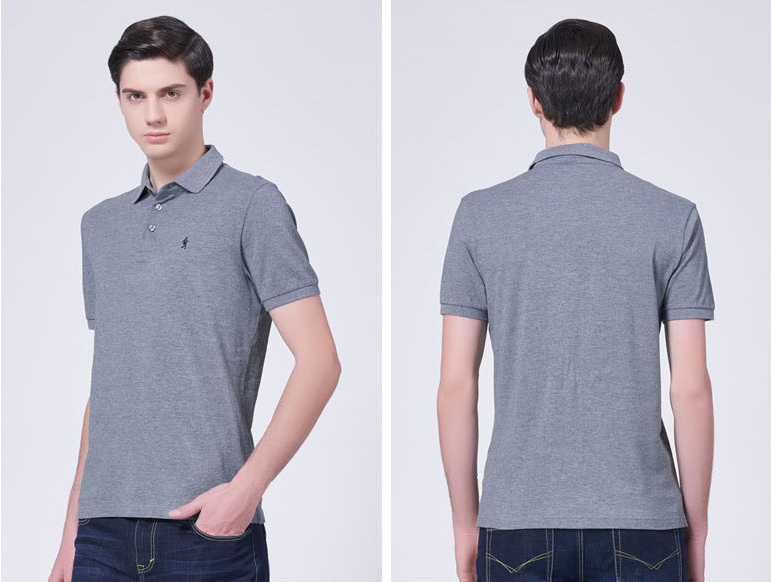 A loose-fit polo with interesting collar details. 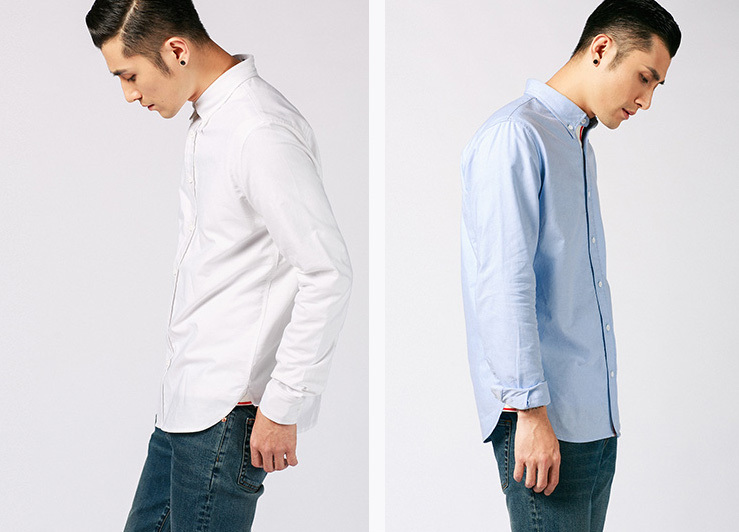 An easy-breezy shirt that is perfect for Casual Fridays or the weekend. 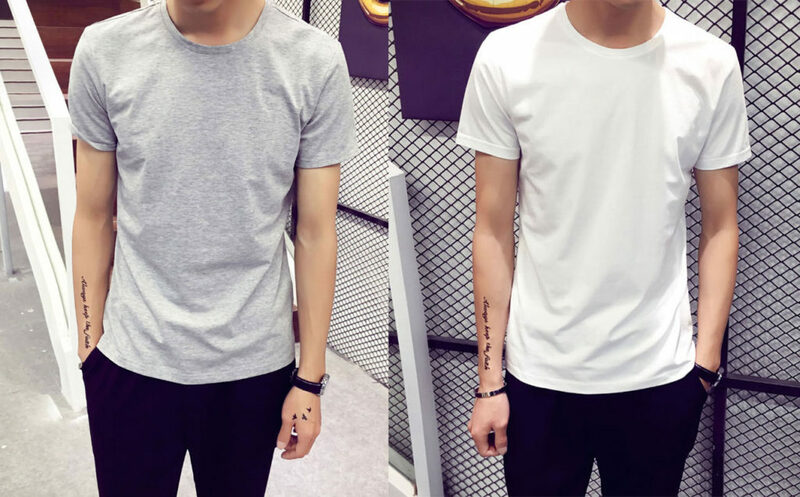 A casual shirt which can be dressed up or down. Comes in white, grey, pink and light blue. Slim cut pants to keep your weekend look smart and slick. 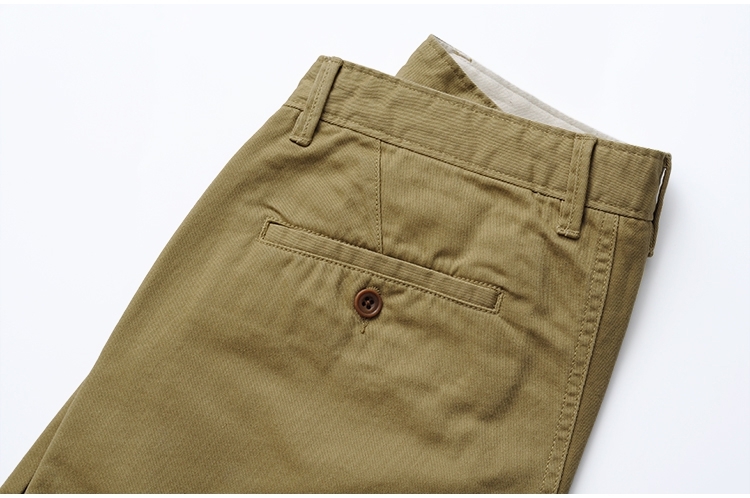 Comfortable chinos guaranteed to be a staple in your closet. 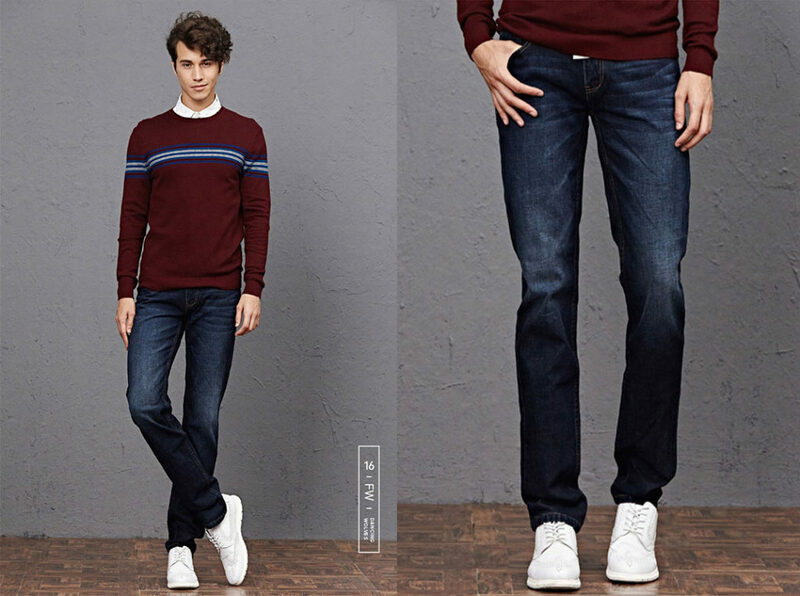 Dark wash slim-cut jeans to take your outfit from day to night. 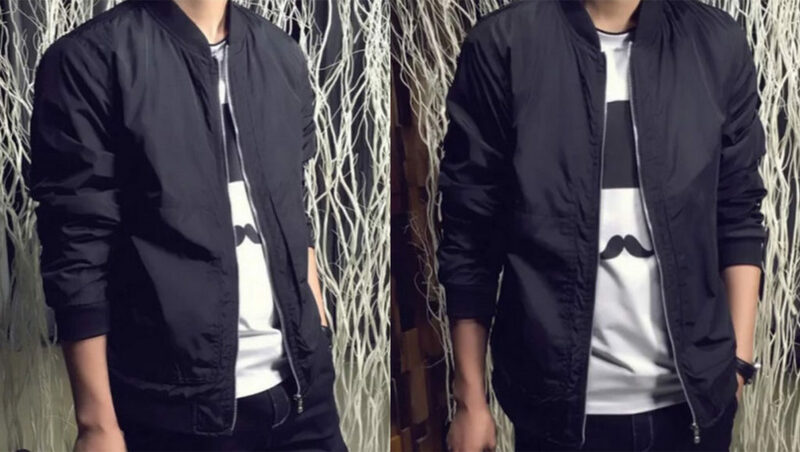 A simple bomber jacket to jazz up your casual outfits. It’s not a purse, hunny – it’s a murse. A simple but dependable staple for your everyday wardrobe. 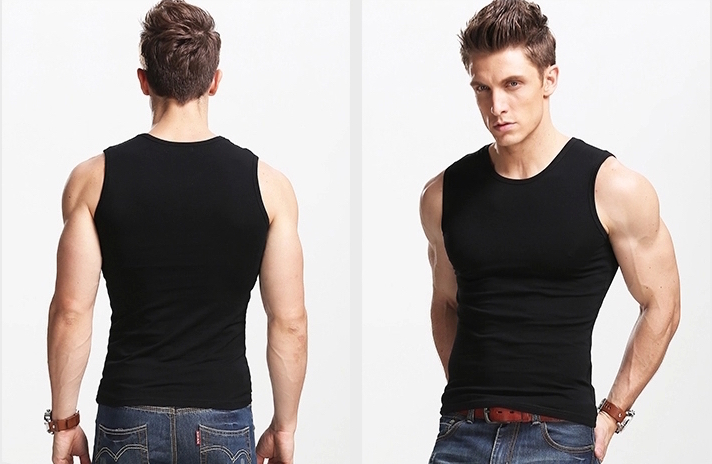 Soft V-Neck tees in a light, breathable fabric. Perfect for warmer climates. For those who want to show off their guns. Can also be worn under your shirt to prevent unsightly sweat marks. 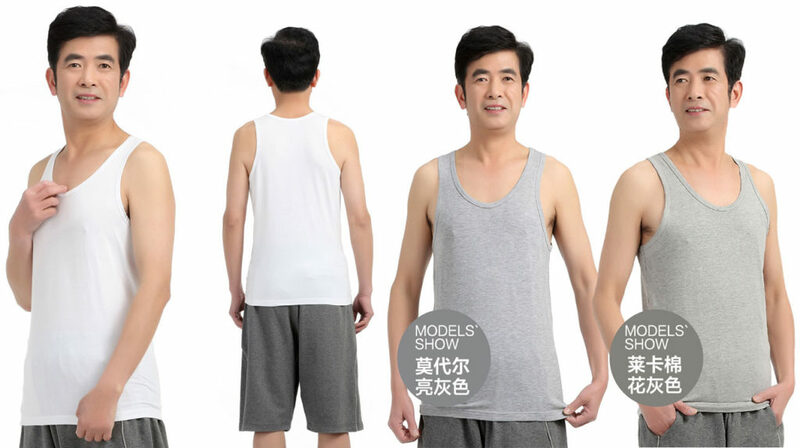 A more uncle version of the tank top above (if you couldn’t already tell from the drastic difference in models). 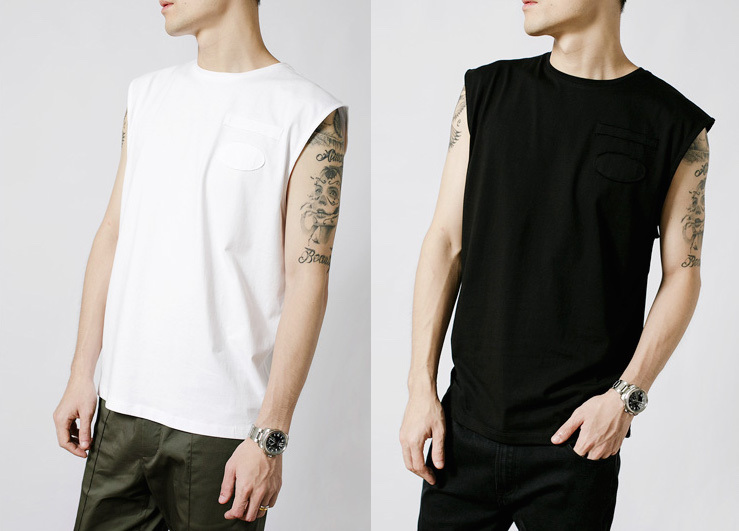 A loose-cut muscle tee that will keep you cool on hot days. Simple cotton shorts with zip pockets. Perfect for the gym or running errands. 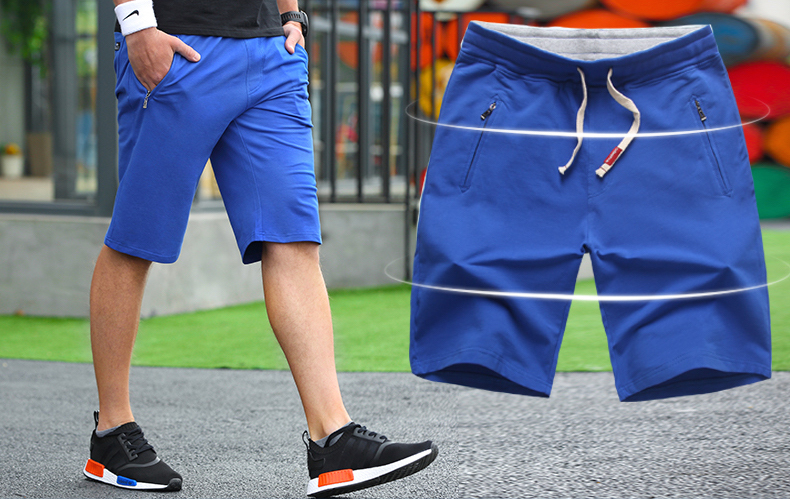 Summer shorts with a slimmer fit. Comes in a plethora of colours too. 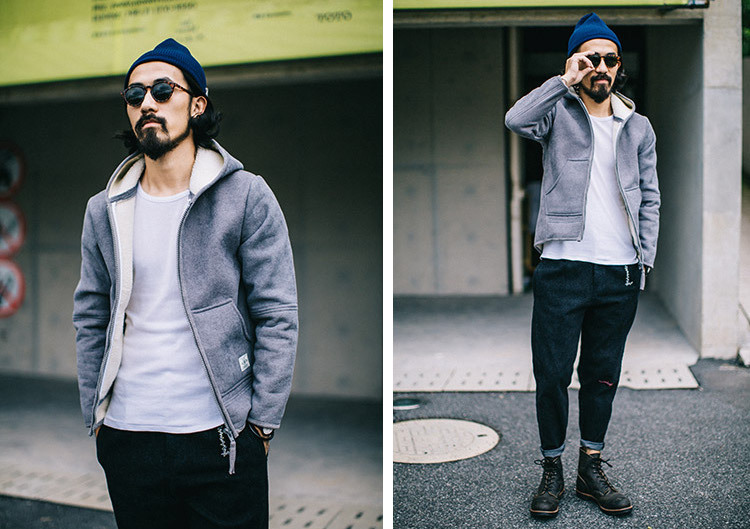 A cotton hoodie with wool lining. 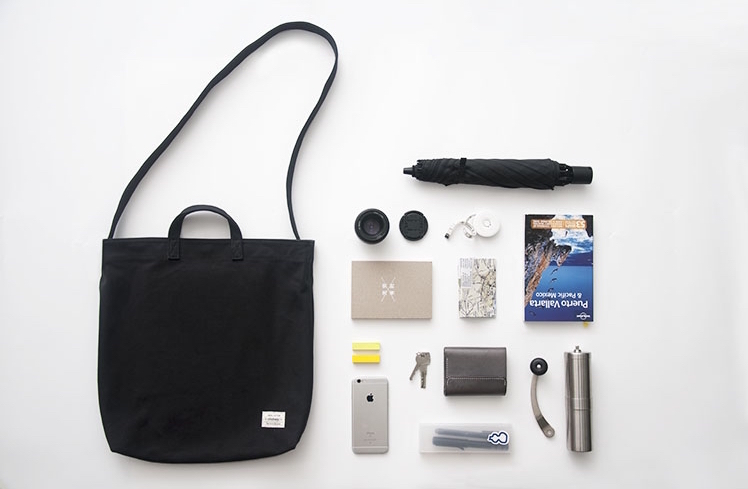 Perfect for travel or play. 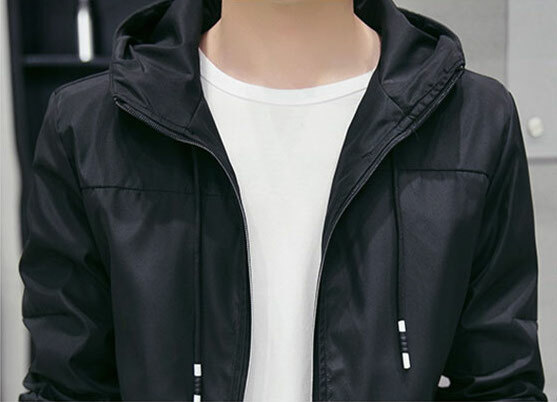 A black jacket with zipper details and a hood. 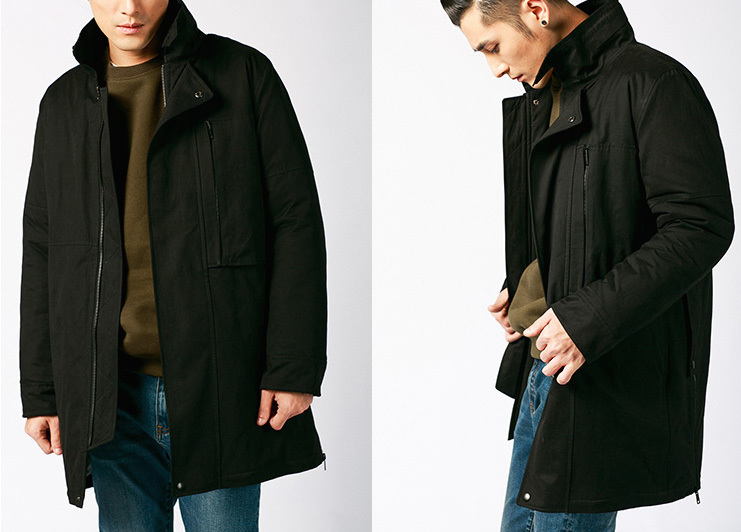 A smart-looking coat that will keep you warm in colder climates. 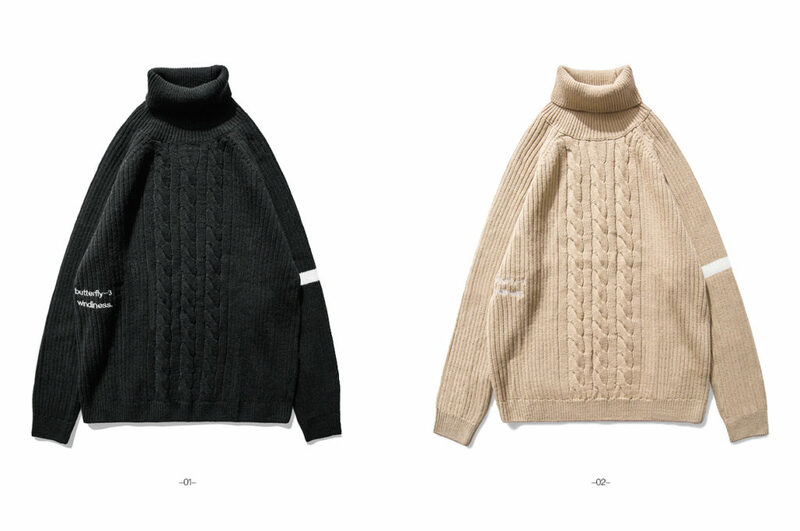 A light sweater which can be layered under other clothes. Comes in a range of colours, including grey, black, wine and light blue. 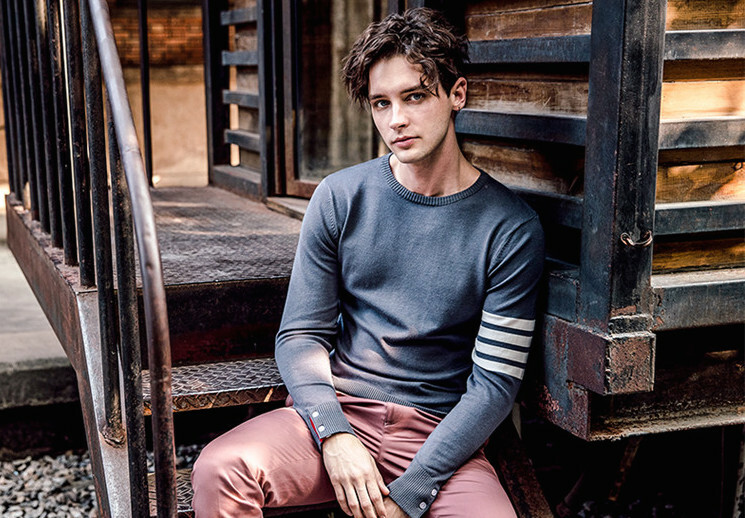 A thick, wool-blend sweater with a high roll neck. Can anyone say Winter Sonata? A lighter jacket for Spring or Autumn weather. 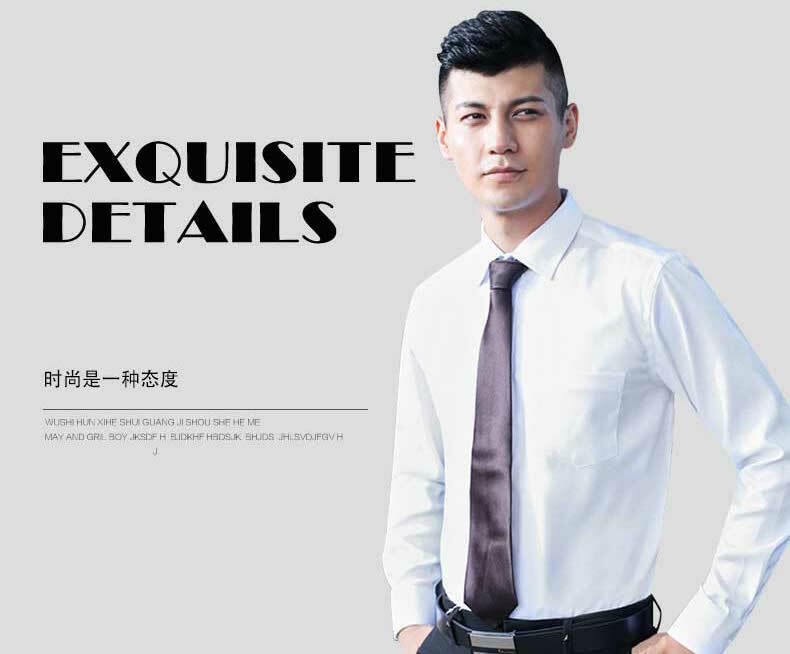 Certain stores offer different levels of customisation for their clothes – just add ‘定制’ (customisation) to your search terms to find the listings. Option 1: You choose an existing style and size from the seller’s store and make minor alterations to the measurements. This may be limited to selected styles only, depending on the seller. Option 2: You choose an existing style from the seller’s store and get them to tailor it to your exact measurements. Option 3: You customise a full suit, where you can choose everything from the colour and fabric to the lapel style and button details. Chat with the seller to see what options are available, but do note that full payment is usually required before they go ahead and start making your customised order. The seller offers an option for custom sizing (for even extra small or extra large sizes), for a fee of about 80 yuan. Fantastic Guide on Menswear! I loved your post…It was very helpful & really enjoyed reading it. Thanks.